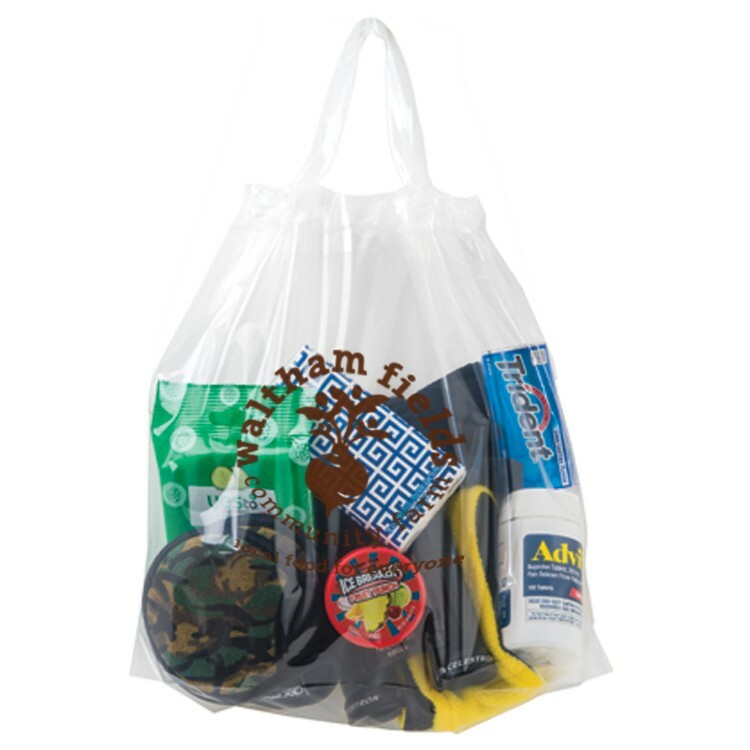 This 12x12x6 clear poly draw tape cinch bag meets the requirements from the Stadium for stadium use. Being compliant will help your customers to their seats quickly at the next game they attend. Made of 2.5 mil LDPE plastic film. Uses: sports events, promotions, giveaways and much more. 500 per case @ 20 lbs. • Imprint area: 3.4"W x 4.5"H for NFL security use. (one color on one side only). • Imprint area: 8"W x 5 1/2"H for non NFL use. (Both sides with 1 or 2 colors). • If printing two colors, the second color plate is free for each side. • When printing two colors, there must be at least 1/2" of space between colors throughout the artwork.